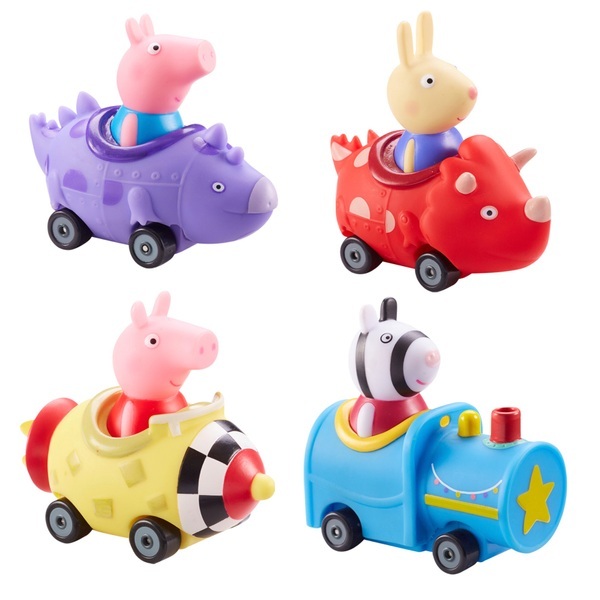 Push Peppa, George and her friends in these cute and collectable free- wheeling mini vehicles. Chunky styling for little hands! There's 4 designs to collect: Peppa in the Rocket, George in the Dinosaur, Zoe in the Train & Richard in the red Dinosaur. (Each sold separately) Approx. 9cm long. Styles vary.